Collaborate with some of the nation's most renowned window and door manufacturers in order to bring you the highest quality contemporary designs and heavy-duty products. Offer non-corrosive, specially designed materials that will stand up to Florida's challenging climate of high temperatures, salt, and moisture. Guarantee that our impact doors have been built to conform to the strictest impact standards in the country — Miami-Dade protocols with Florida State Wide approval and Texas Department of Insurance approval, as well as ASTM E1300, E-1886 & E-1996. Offer an exclusive door with a ventilation window that still provides high-impact safety. Bring you French Doors up to 10-feet-tall that make the most of your view and create an expansive feeling by flooding your rooms with light. At , our top-quality product lines combine style with performance to meet the needs of the most discerning homeowner. We have our own in-house window and door design professionals who are available to meet with you one-on-one to help with planning your project. We'll listen carefully to your needs, will work with you to meet your goals, and will watch over your project every step of the way. Impact Doors can significantly lower your heating and cooling energy costs? Impact Doors dramatically reduce outdoor noise? Impact Doors give you 24/7/365 intruder protection? Impact Doors provide hurricane-strength impact protection? Certain impact doors can filter out 99% of UV rays to keep your drapes and furniture from fading? is your one-stop-shop for the sales, service, and installation of premium Residential Doors. 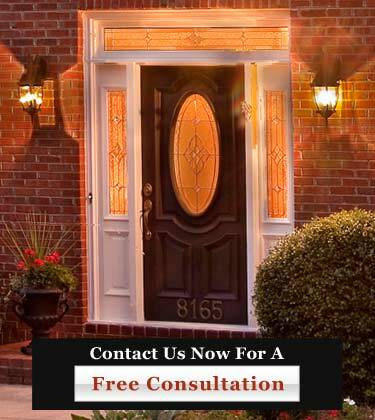 Call us today at (954) 714-6800 or contact us online now for an in-depth consultation on your window or door project. *Our doors are available with aluminum and vinyl frames, non-impact and impact-resistant glass, and many other options to meet your needs.